Ali Norman is originally from Hattiesburg, Mississippi. She was a camper at Camp Ozark for 7 years before attending Mississippi State University. She graduated from MSU in 2015 with a Bachelor of Science degree in Kinesiology. While at State, she was involved in Delta Gamma sorority where she was the President her Junior and Senior year. Ali loves to watch and participate in sports, particularly soccer and tennis. She has worked for Camp Ozark for the past 7 years, serving on Summer staff as a Counselor for 3 years, Top staff for 1 year. 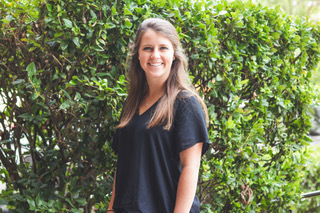 After graduating from MSU, Ali moved to Houston, TX to work as an Assistant Director at Camp Ozark. Ministry has always been at the heart of Ali's desires and passions and she is excited to be in her new role of Ozone Ministries Program Director.